All HYATT CENTRIC PARK C homes currently listed for sale in Park City as of 04/25/2019 are shown below. You can change the search criteria at any time by pressing the 'Change Search' button below. 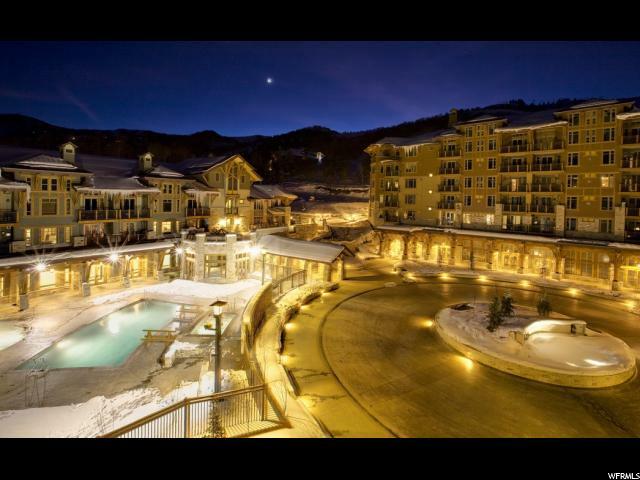 "This ski-in/out luxury mountain residence is located within the Canyons Village at Park City Mountain. Convenience meets luxury with amenities like a gourmet kitchen with granite counters and the finest stainless steel appliances. Bedrooms are furnished with a warm decor, stone fireplaces, and plush linens. Stepping out onto the balcony opens up to breathtaking mountain views. Amenities include: renovated lobby and common areas, new private owners lounge and kids game room, fitness center, outdoor heated pool, 2 whirlpools, sauna, steam room, and an onsite restaurant. Buyer to pay 2% CVMA transfer fee. Buyer to verify all information in listing."